Ram lambs sold to a reasonably firm trade and topped the Jacob Society’s Scottish Region’s show and sale at Newtown St. Boswells at £1,950. Two at £520 were Linlithgow breeders Connor and Dalrymple’s Reilly-bred Deerpark shearling ram, Deerpark Jack 2 by Gowanbank Max –this was bought by J. and M. Milton, Keith, Aberdeen — and another ram lamb from Mike Munro, which sold to R.F. and D.J. Price, Churchstoke, Montgomery. This was by Blackbrook Fireballs. 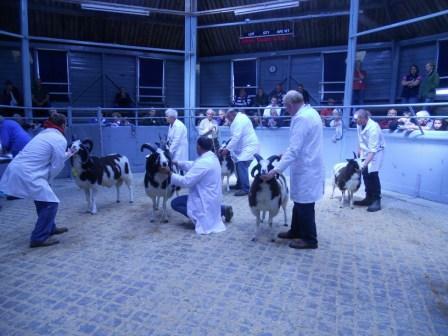 Young Handlers Workshop & Judges Discussion Sunday 19 October 2014– JSS Young Handlers Workshop will be from 11 to 3pm courtesy of Messers Connor & Dalrymple at Dun-Mor, Auldhill Road, Bridgend, Linlithgow, West Lothian EH49 6ND. 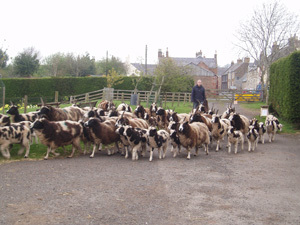 We will be showing the youngsters the basic points on preparing and handling sheep for a show. This event is FREE to all participants up to the age of 18 years old. “Novice” handlers over the age of 18 can also attend but will not be included in any awards given. A packed lunch will also be available to all participants. – Prior to the Young Handlers Workshop, there will be a Judges Discussion starting at 10am – Judges from all regions are very welcome. The Jacob Sheep Society and the Scottish Region would like to welcome a new member to the Sociey, Miss Victoria Birch of Irongay, Dumfries and Miss Abigail Harris of Laurencekirk, Aberdeenshire. We hope that you enjoy being a member of the Society and we hope to meet you in person at one of our Regional events during 2014. * Saturday 31 May – Scottish Smallholder & Grower Spring Gathering, Thainstone Agricultural Centre, Inverurie, Aberdeenshire, AB51 5XZ. JSS Breed Promotion stand & Jacob showing in the British Hill & Upland class. 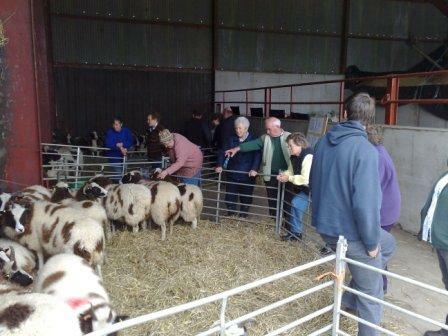 * Wednesday 4 June – NSA ScotSheep 2014, Quixwood Farm, Duns, Berwickshire, TD11 3RS. 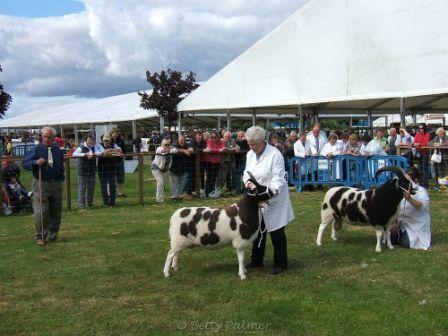 * Saturday 26 July – Scottish National Jacob Show, Border Union Show, Springwood Park, Kelso, TD5 8LS. * Friday 8 August – St. Boswells Show & Sale Dinner, The Hoebridge Inn, Gattonside. See below for more information, map and menu. * Saturday 9 August – Scottish Region Show & Sale, John Swan Ltd., Newtown St. Boswells, Roxburghshire, TD6 0PP. Inspections 7.30 am, Show 9.30 am & Sale of registered pedigrees & stores at 11.30 am or immediately after the conclusion of the Show. * Saturday 27 September – Scottish Smallholder & Grower Festival, Lanark Agricultural Centre, Hyndford Road, Lanark, ML11 9AX. JSS Breed Promotion stand and Jacob showing in the British Hill & Upland class. 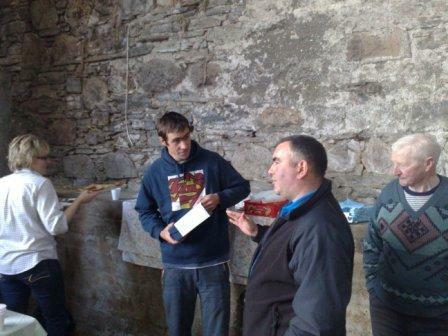 * Sunday 19 October– JSS Young Handlers Workshop at Dun-Mor, courtesty of Messrs. Connor & Dalrymple. More information to follow. A four-horned ram lamb from Wales made the top price of 1,650gns in the Jacob Sheep Society’s Scottish Regional show and sale in Newtown St. Boswells. 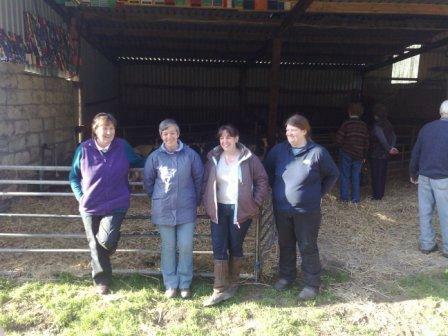 It was from the Harries family, Llandeilo, Carmarthenshire who are regular sale toppers at the Scottish sale. They had the three top prices and it was also the second time in succession they won the championship – again with a ram lamb. Registered in Wyn and Siwan Harries daughter Sara’s Gobaith flock, the January lamb is by Hyndshaw Highland Laddie and out of a Hyndhsaw ewe and was bought with a telephone bid from Lesley Partridge for her Bentley flock at Redditch, Worcestershire. From Wyn and Siwan’s own Hope flock, Hope Laddie was the second prize ram lamb in class, and the second highest ram lamb price at 800gns. Another by Highland Laddie, and out of a Hope ewe, the end of January lamb went to Mr and Mrs Willie and Edie Crowe, Arbroath, Angus. The third prize ram lamb also made third best price in the section. 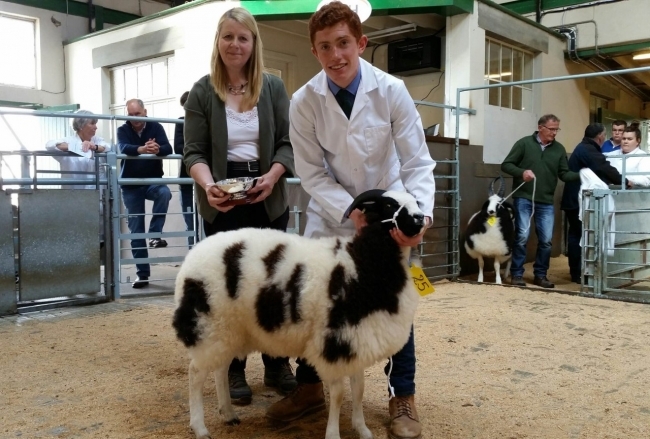 It was the January born Kinloch Duke from Mike Munro, Ladybank, Fife who took a 720gns bid for the Blackbrook Darcy sired lamb out of a Kinloch ewe, from Meathop flock owners, Mr and Mrs Stephen Harrison, Grange over Sands, Cumbria. A shearling ram, Dunmor Zorro, from Gordon Connor and Scott Dalrymple and with a deep Dunmor pedigree behind it, made 620gns to T. Roper, Cleator Moor, Cumbria. The sale’s reserve champion was a shearling ewe, also from the Linlithgow based Dunmor flock and by the same sire as the shearling ram and it made 390gns to Horwich, Lancashire breeder Kevin Gaskell. It was back to the Hope flock for the three first prizes in the ewe lamb class and three best prices. 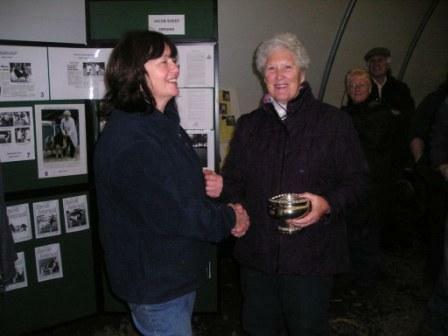 All were by Hope Rocky out of Hope ewes and the dearest at 830gns – the third prize lamb – was picked up by Mr and Mrs Crowe. Hyndshaw flock owner Helen Baillie, Carluke, Lanarkshire bought the other two at 300gns and 295gns. Averages: 4 ewes £100.80; 18 shearling ewes £135.74; 20 ewe lambs £149.99; 3 senior rams £231; 7 shearling rams £202.50,11 ram lambs £420. Auctioneers John Swan, Newtown St. Boswells. 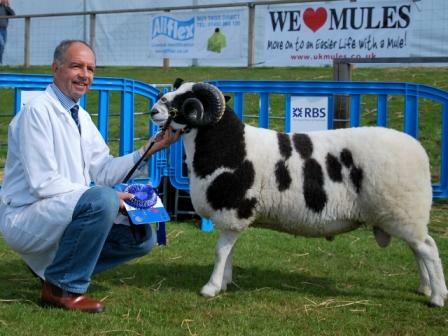 For the first year this year the Scottish National Show for Jacob sheep will be held at the Border Union Show, Kelso and is kindly sponsored by Crystalix who are also donating additional prize money. This is set to be a great addition to the Scottish showing calendar, with the national show moving to a new agricultural show each year. We also have the addition this year of four new trophies: The Arnydie Perpetual Cup and the R E McKendrick Perpetual Trophy, both kindly presented by Miss Linda McKendrick, the Harbell Trophy to be presented by Mr and Mrs M W Harper of Cavers, Hawick for the best pair and the Crystalix Trophy. The prize money for the show will be touching £700! Judging will be held on Saturday 26 July and the judge will be Mr Stephen Harrison. Entries close Monday 23 June. Please see the links below for BUAS membership, the show schedule and entry form. The JSS is looking forward to a great turn out from members to kick off the first Scottish national show. 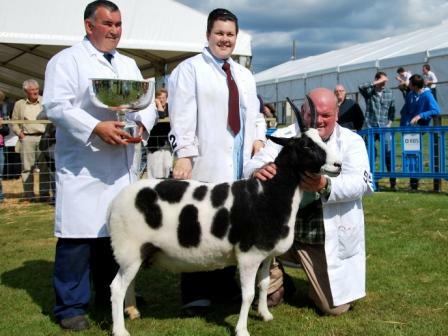 Next year the national show will move to the Black Isle and then on to Perth the year after. This year’s competition is to be held at Quixwood Farm, Duns, Berwickshire on Wednesday 4 June 2014 and if you are aged 26 and under as of September 28 2014, then you are eligible to enter. 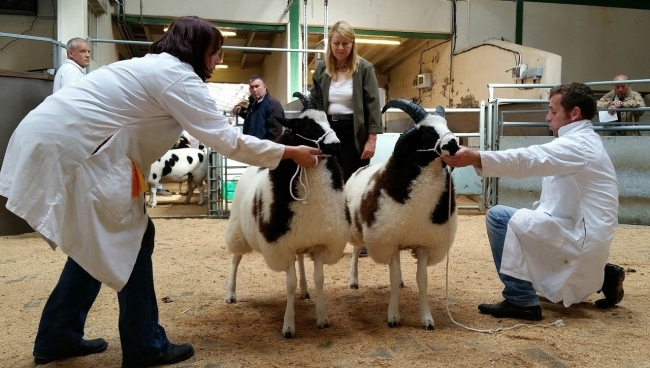 Depending on the level of interest regional qualifying competitions may be held in early May to select the top twelve contestants to compete in the Scottish final at NSA Scotsheep 2014. For more information and to download a copy of the entry form, please click on the links below. There is a possibility that a BWMB beginners one-day course of blade/hand shearing may run in the Scottish Region and we are looking for participants/interest. The course would need a minimum of 4 people for it to run and the proposed date is 15 June. The cost would be £100 per person for the day and it would be hosted by Dean Sewell at Carfrae Mill (near Lauder) in the Scottish Borders. For more information and to register your interest please email Dean Sewell on D.A.Sewell@hw.ac.uk. The 2014 AGM will be held on Sunday 23 March 2014 at the Star & Garter Hotel, 1 High Street, Linlithgow, EH49 7AB. The meeting will start at 11.00 am & a bar menu will be available for lunch. The meeting will be held in the hotel’s function suite which is located to the rear of the entrance to the hotel/entrance for Linlithgow train station. Parking is available to the rear of the hotel & additional parking can be found across the road at the Tesco supermarket. All members are welcome & we hope to see you there! The Jacob Sheep Society and the Scottish Region would like to welcome new members to the Society. Welcome to Mr K Flucker of Lauder, Berwickshire, Mrs Nicky Ross of Grantown-On-Spey, Highlands & Ms Naomi Bremner of Deerness, Orkney. We hope that you enjoy being a member of the Society and we hope to meet you in person at one of our Regional events during 2013. The Scottish Region Open Day will be held this year on Saturday 26 and Sunday 27 October. It will consist of a Judges seminar and flock visit to the Firthview Flock (Al Lyons, Canisbay, Wick, Caithness). Full itenerary and details to follow shortly but in order that the transport, accommodation etc. can be arranged, could anyone interested in attending the visit please contact Scottish Regional Representative, Barbara Webster, by the 20 September to note your interest. Contact details for Barbara can be found in the box at the top of the page. 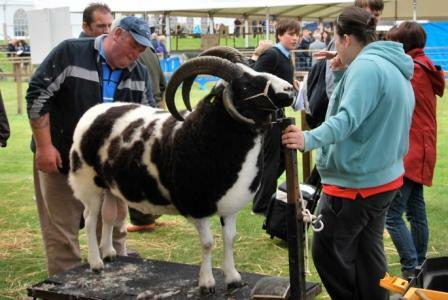 The Royal Highland Show 2014 will be held at the Royal Highland Centre, Ingliston, Edinburgh from Thursday 19 June to Sunday 22 June. Please note this is a change from the previously announced show dates of 26-29 June. The Show & Sale catalogue is now available to download as a PDF, to so this please click here. Please note entries are now closed. Just as a reminder inspection of sheep begins at 7.30 am, judging commences at 9.30 am and the Sale will follow on at 11.30 am or immediately after showing ends. 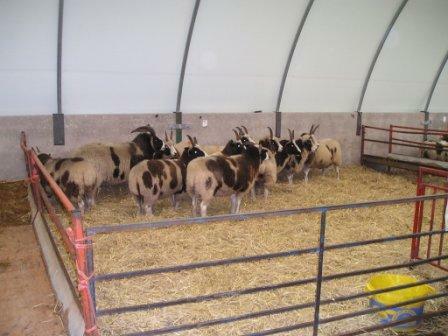 The sale comprises of 110 Jacob sheep – 8 ewes, 32 gimmers, 16 ewe lambs, 10 tups, 14 tup lambs and 30 store sheep. 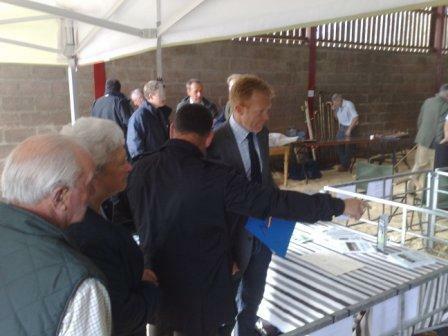 To download the Show & Sale Inspection Guidance Notes please click here. The Scottish Region Show & Sale will be held on Saturday August 3 at John Swan Auction Mart, Newtown St. Boswells. The Show will be judged this year by Mr Clive Richardson. Entries are now being taken. 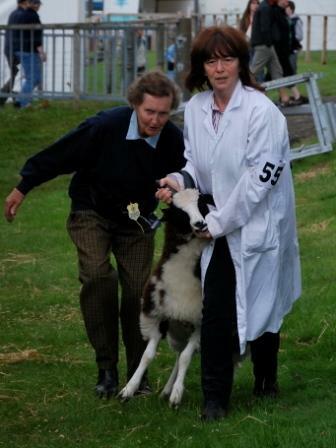 Entries for registered females and males are priced at £10 per sheep. There is no entry fee for store lambs. Entries close on Friday July 5. To download more information and entry forms, please click on any of the links below. As Gordon Connor has now left the Scottish Region as RCM and moved on to his new post of Field Officer, we would like to congratulate Barbara Webster on taking up the post as our new RCM for the Scottish Region. Congratulations Barbara! Unfortunately the Young Handlers day has been cancelled due to low numbers of interest in attending. However, the event will be rescheduled for later in the year. The Scottish Region will be holding a Young Handlers Workshop Day for youngsters up to the age of 18 years old. This will be held at Dun-Mor (Connor &Dalrymple) on Sunday June 2 between 11am and 3pm. The aim of this year’s workshop is choosing sheep for the showing, identifying faults and understanding the breed standard. This workshop is free to any youngsters aged 18 under and those aged 18 are welcome to come along too but you will not be included in any awards given out on the day! The cup for the Best Young Handler will be judged and awarded at the workshop. A packed lunch will be provided for all workshop participants and please remember to bring along old clothes that you don’t mind getting dirty or a change of clothes. Gordon Connor has been elected as National Field Officer. Ringing from on holiday in Tenerfie, Gordon said ‘I would like to thank all the Scottish Members who voted for me and who have supported me during my two terms as Regional Council Member for Scotland. I would like to wish whoever takes on the role for Scotland well and has my continued support in the region, best wishes to all’. Following the election of Gordon Connor to the position of National Field Officer, there is now a vacancy for the role of Regional Council Member for the Scottish Region. Nomination papers will be posted to all Scottish members shortly and any paid up member is entitled to be nominated for this role. The nominated person should sign the form along with a proposer and seconder from Scotland. In the event of more than one nomination, an election will be head within the region. To download a copy of the nomination paper for Regional Council Member click here. The Scottish Region AGM will be held at The Quality Hotel Ingliston Sunday 24th March at 11am. Lunch or snacks will be available from the Bar Menu as usual and if possible can you please let Gordon Connor know by phone or email if you are going, so we can get an idea of numbers. Gordon’s contact details can be found at the top of the page. 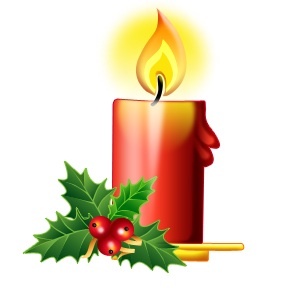 We would like to wish all JSS members, especially those in the Scottish Region, a happy and peaceful Christmas. Thank you to all those who have attended events in the region, volunteered your help in many ways and also for attending shows and sales. We hope that you all have a successful lambing and all the best for 2013! Regrettably the Scottish Region flock competition that was due to run between the 12-14 October has been cancelled for this year. John Swan Ltd, St Boswells conducted the official Scottish Regional Sale of Jacob Sheep on behalf of the Jacob Sheep Society Ltd. The overall Champion was a Ram Lamb from Mrs H Baillie, Hyndshaw which sold for 1200gns to Mrs A Simpson, Whitedale, East Yorks. 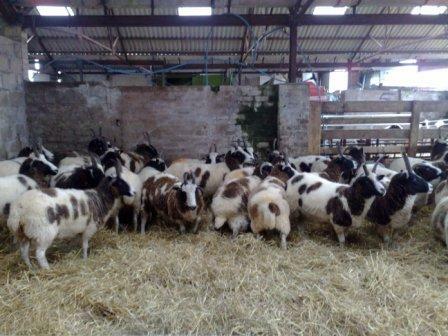 Shearling Rams sold to900gns from M/s Connor & Dalrymple to Mrs Fletcher, Blessington Co. Wicklow. Ewes sold to 200gns from Mr Reilly Deer Park; Gimmers sold to 840gns from Mrs Baillie, Hyndshaw & 580gns Miss Kendall, Longdales; Ewe lambs sold to 650gns Mrs Baillie, Hyndshaw. The Scottish Smallholder & Grower Festival will take place on Sunday 30 September at Forfar Market, Angus. British Hill & Upland – e.g. Swaledale, Blackface, Herdwick, Cheviot etc. Northern Short Tailed – e.g. Shetland, Hebridean, Soay, Boreray etc. British Lowland – e.g. Suffolk, Jacob, Hampshire, Poll Dorset etc. British Longwool – e.g. Border Leicester, Teesdale, Lincoln Longwool, Wensleydale etc. 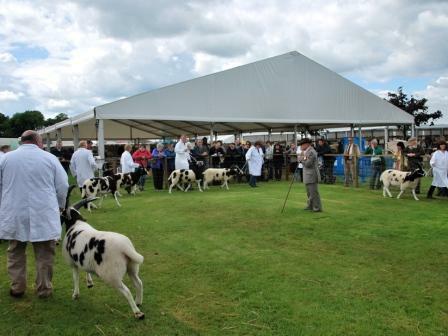 There will also be classes for best horns, butcher’s lambs, wool on the hoof and Young Handlers as well as an award for the best livestock pens which is sponsored by the show’s hosts Lawrie & Symington. As well as the sheep classes, there are classes for pigs, goats, poultry & waterfowl plus a craft & produce show & a sausage competition. A programme of demonstrations & seminars will also run plus there will be local food & crafts. The deadline for entries is Friday 7 September. 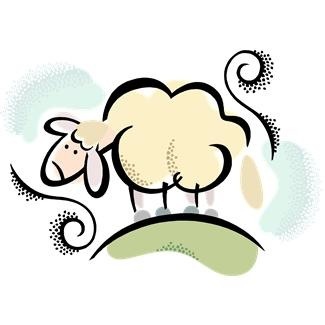 To download a copy of the sheep entry form please click here and to view the sheep schedule please click here. For more information on the event as well as directions, times and tickets please click on the link below. 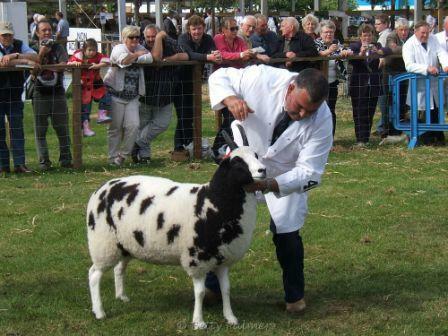 The Scottish Region Flock Competition will be held between Friday 12 and Sunday 14 October 2012 and flocks will be judged by Mr S. Dodsworth & Mr W. Thompson. To enter the flock competition, please send your completed entry form and a cheque made payable to the ‘Jacob Sheep Society’ to Gordon Connor at the address shown on the entry form. The fee for entering the flock competition is £15.00. The closing date for entries has been extended until September 22 2012. To download a PDF version of the entry form, please click here. Thank you and good luck with your entries! The Scottish Region Show & Sale will be held this year at John Swan Ltd. Auction Mart at Newtown St. Boswells Market on Tuesday 7 August. Our judge will be Mr Stephen Harrison. Inspection of sheep will commence at 7.30 am, judging will begin at 10.30 am and the sale will follow at 12 noon. The deadline for entries has been extended until the 25 July. 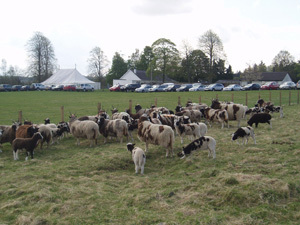 The NSA Scotsheep event was held at Dumfries House yesterday, June 6, and was attended by the Scottish Region with their JSS stand. A good but tiring day was had by all at the event. Lots of leaflets were handed out to potential new members and Jacob sheep keepers and we even had an impromtu talk about Jacobs given to a group of eager school children, by Chairman Robert Locker. We had lots of positive comments about our stand as well which was great to hear. Prince Charles officially openen the event in the morning and BBC’s Countryfile presenter Adam Henson was also there. Scotsheep is Scotland’s flagship event and is held every two years and attracts a large amount of sheep farmers from all over the country. Dumfries House was saved for the nation by Prince Charles, Duke of Rothesay, in 2007. The adjoining 900-acre farm is run as a joint venture between the Prince’s charities and the UK’s fourth largest supermarket group, Morrisons. 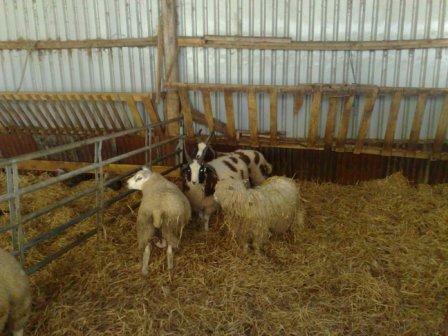 Thank you to Mike Munro for kindly lending two Jacob gimmers and a Jacob ewe with Texel cross lambs for the stand. Also thank you to Robert Locker and Wullie Thompson for helping out on the stand, Nigel Gibb for providing the lovely Jubilee planters and taking all the items for the stand up there the day before to set up and to Barbara Webster and Linda McKendrick for also helping out and bringing the sheep to the event. Thank you to everyone who turned out for the Scottish Region Young Handler’s Workshop which was held on Sunday 3 June at Dun-Mor, West Lothian. In total nine youngsters attended the event and were put through their paces by Gordon Connor and Scott Dalrymple. The young handlers learned how to put a halter on correctly, wash a sheep and card out the wool before lunch time. 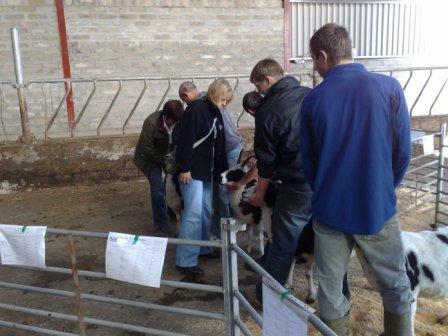 Following lunch, they were shown how to dress a sheep using handshears and how to oil the horns. 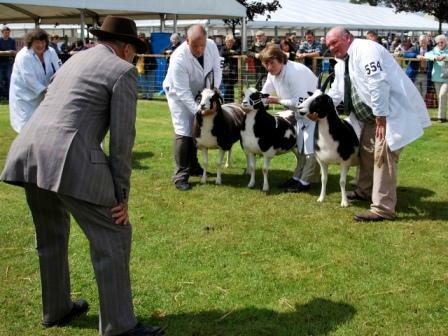 This was followed by a mock line-up with Robert Locker as judge who explained what features the judges are looking for in a sheep when in the show ring and how a sheep should be correctly presented to the judge. The cup for Best Young Handler was awarded on the day and judge George Reid kept a close eye on proceedings throughout, finally coming to the decision that the cup should be awarded to Sammy Mitchell. Congratualtions Sammy! All youngsters received a certificate for successfully completing the workshop day. Thank you to Gordon Connor and his family for their hospitality as well as Scott Dalrymple for showing the youngsters how to prepare their sheep for the show ring. Thank you also to George Reid for judging the youngsters and awarding the cup. The Scottish Region will be holding a Young Handlers Workshop Day for youngsters up to the age of 18 years old. This will be held at Dun-Mor (Connor &Dalrymple) on Sunday June 3 between 11am and 3pm. The aim of the workshop is to show youngsters the basic points on preparing sheep for a show, how to handle sheep correctly in the ring as well as the correct way to put a halter on. This workshop is free to any youngsters aged 18 under and those aged 18 are welcome to come along too but you will not be included in any awards given out on the day! The cup for the Best Young Handler will be judged at the workshop and will be awarded by Mr George Reid. Please note that the award for the Best Young Handler will therefore will not be given at the Scottish Region Show & Sale in August. More information on the schedule that will run during the day and directions will be availble on this page nearer the time. Looking forward to seeing you there! The trip away to the west coast for the Scottish Region will be held on Saturday 29 & Sunday 30 September 2012. During the trip we will be visitng four flocks, including those belonging to Duncan Robb, David Keys, Jill Bowiss and Jim Wilson. Accommodation will be available at the Royal Hotel in Oban. If you are interested in attending, please forward name(s) to Regional Representative, Gordon Connor before 22 June. Due to the popularity of this trip away and the limited number of spaces, a deposit will be needed to secure places. 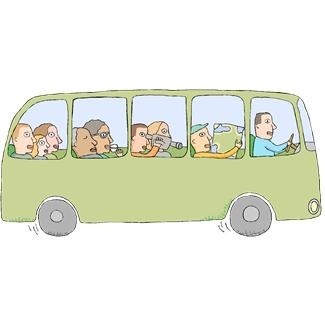 Please send a cheque made payable to Gordon Connor (address at top of page) for £20.00 per person attending the trip. Sorry but the deposit is non-refundable. More details about the trip and the itinerary will be updated on this page nearer the time. Thank you and hope to see a good turnout for our trip which looks to be an interesting and enjoyable weekend! The Scottish Region AGM will be held on Sunday, 26 February at The Quality Hotel Edinburgh Airport. The meeting will start at 11.00 am and as per pervious meetings, lunch will be available. There will also be a raffle, and any donations towards this will be gratefully received. Quality Hotel Edinburgh Airport, Ingliston, Edinburgh, EH28 8AU. Tel: 0131 333 4331. 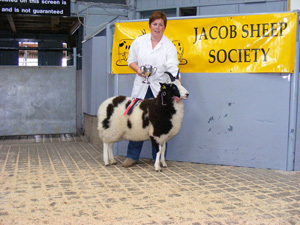 As the festive period approaches closely followed by the drawing to a close of 2011, the Jacob Sheep Society would like to thank all of its Scottish Region Members for their support and participation throughout 2011. Whether you have judged a show, helped or took part in a show and sale, contributed to the Journal or came to watch the Jacob classes at many of the local agricultural shows, your support is greatly appreciated. It’s fantastic to have so many members that are so enthusiastic about their Jacob sheep and at the same time also providing a great network of friends and support for one another. A big thank you should also be mentioned again to Mike Munro for holding a very successful and interesting open day that was enjoyed by all who attended. Thank you also to those members and friends who came from across the Border or further afield to take part in the Scottish Region Show and Sale or even the Royal Highland Show, again your support and enthusiasm is fantastic and appreciated. Below is a small photo slideshow of some scenes from 2011 for you to look back on and we would like to wish everybody not only in the Scottish Region but throughout the Society a very Merry Christmas and all the best for the shows and sales throughout 2012! An interesting and unusual open day awaited visitors at Kinloch Farm, Ladybank, Fife, the home of Mike Munro. Jacobs from Mike’s Kinloch flock were penned to see along side his commercial crosses. 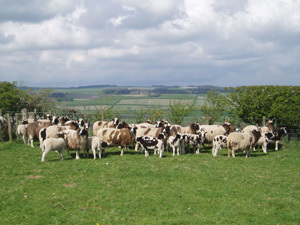 Kinloch Jacobs are bred pure to produce replacements from the best ewes, then Texel tups sire the next generation. Progeny from these are then crossed with Beltex sires. Sheep were penned in their respective groups, through the generations together with explanations of carcass confirmation and fat classes. A competition to guess the weight of 9 lambs (3 Jacob wethers, 3 Jacob x Texel, 3 Jacob x Texel x Beltex) was won by Debbie Harvey. In a family double, Mr Harvey came closest to guessing the dam and sire of the 4 lambs which proved to be a mixture of Zwartbles, mules, Jacob and Texel crosses. Mike and his family went to a tremendous effort and provided a magnificent spread of bakery, kebabs, burgers and pies and on behalf of the Scottish Region, we would like to extend our thanks to them for hosting such a different and enjoyable open day. The Scottish Region Committee Meeting will be held at the The Quality Hotel, Ingliston, Edinburgh on Sunday 6th November 2011 at 11.00 am. 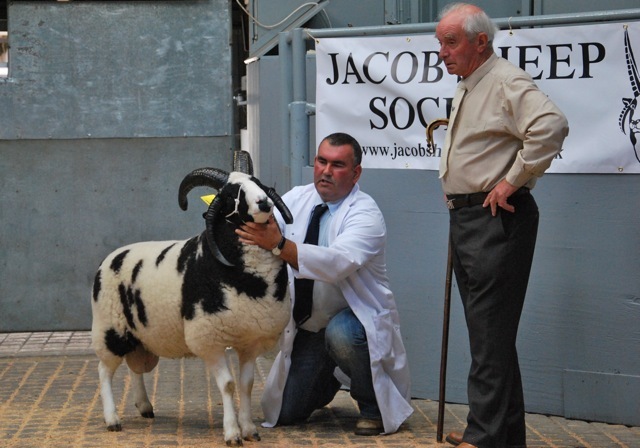 John Swan Ltd conducted the Scottish Regional Show & Sale of Jacob Sheep on behalf of the Jacob Sheep Society Ltd. Top price 850gns was for a 2 year old ram from Mr DW Harries, Carmarthenshire purchased by Mrs Mary Leggate. A Ram Lamb from Mr GF Harper sold for 650gns followed by 420gns for a ram lamb from Mrs H Baillie. Ewe Lambs sold to 340gns from B Johnstone, an Overage Ewe from Mrs H Baillie, Hyndshaw made 300gns and Gimmers sold to 300gns from Barbara Webster. The show champion was a Shearling Ram from Messrs Connor & Dalrymple which sold for 300gns. Averages: 8 Ewes £105.92; 36 Gimmers £164.50; 6 Shearling Rams £171.50; 18 Ram Lambs £183.75; 29 Ewe Lambs £125.13. Championship line up showing (front right), 1st tup lamb from George Harper (centre front) the champion shearling tup from Messers Connor & Dalrymple (front left) Reserve Champion aged tup from DW Harries, (back left) 1st Gimmer from Messers Connor & Dalyrmple (back right) 1st ewe lamb from M&M Harper. Winners of the 2011 show were Messers Connor & Dalrymple from Bridgend with a Deerpark Ewe. This is the third consecutive win for the pair. 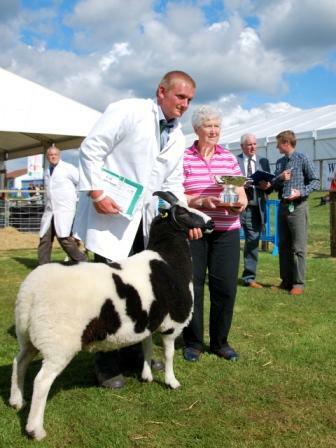 Reserve Champion was a shearling tup from Mr Clive Richardson of Cumbria. Results are below. Proposed Workshop Day – we are looking to hold a workshop for young members and friends aged between 12 and 23. A similar event was held in the sounth and was a great sucess. The day will consist of working with sheep, the correct way to inject, pairing feet and getting sheep ready for shows etc. We will hopefully also get a local vet to give a talk on caring for sheep. This event is sponsored by the Pat Bromley Memorial Fund. Please contact Gordon if you would be interested in attending. Scottish Region AGM was held on Sunday 27th March 2011 Quality Hotel Ingliston with about 30 members and friends attending. Minutes to follow. 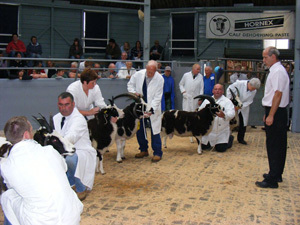 Judges Forum 2011– There will be a Judges Forum held on 9th October 2011 at Dun-Mor, Bridgend starting at 11am. More details to follow. The bi-annual flock assessment and competition was judged on 1st, 2nd & 3rd October 2010 by Gavin Haworth and Howard Walsh from the Northern Region. The results were announced by the judges on 21st November 2010 at The Quality Inn, Ingleston and are listed below. John Swan Limited held their annual Show and Sale of Jacob Sheep on Tuesday 10th August on Behalf of the Northern Area Jacob Sheep Society. 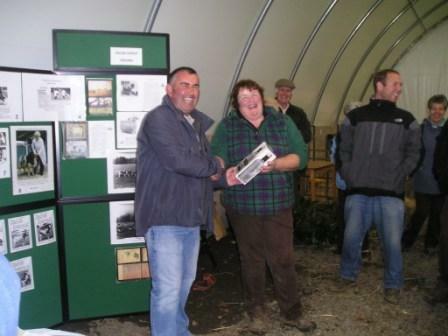 The judge Mr Wyn Harries, Hope Farm, Llandeilo, Carmarthenshire awarded the championship to a Shearling Ram from Mrs Barbara Webster’s Carochy flock based in Newburgh, Fife. The Shearling later made 650gns, the top price of the day to Mr A Reilly of Dere Park flock near Edinburgh. 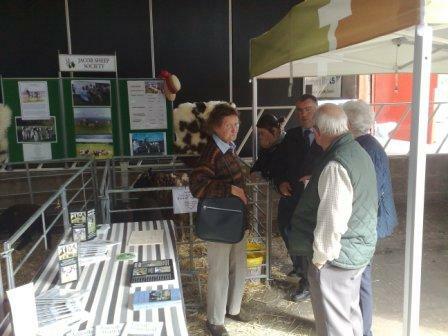 Females were in high demand with buyers present from all parts of the UK including many new purchasers in attendance. 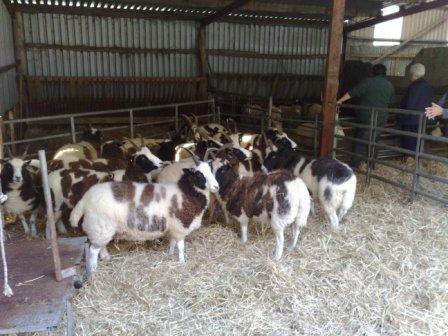 Store Lambs:- £77, £70 Burnside. 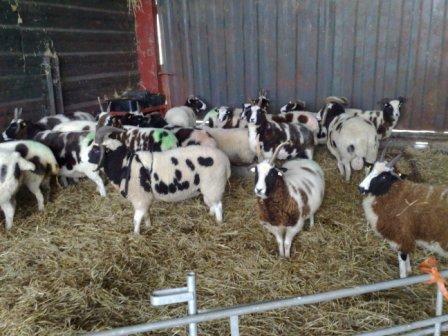 Cross Lambs:- £65, £52 Bogallan, £51, £50 Island flock, Isle of Kerrera, Oban. Championship line-up. 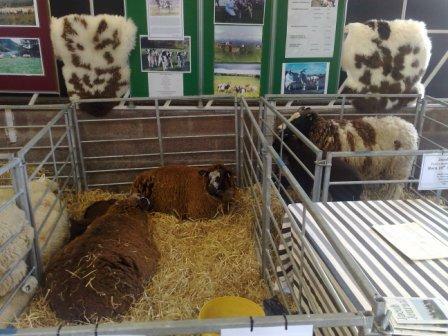 (Left)Aged tup from Messers Connor & Dalrymple, Barbara Webster’s Chamipon shearling tup, Helen Baillie’s tup lamb and a gimmer from Messers Connor and Dalrymple completes the line up. 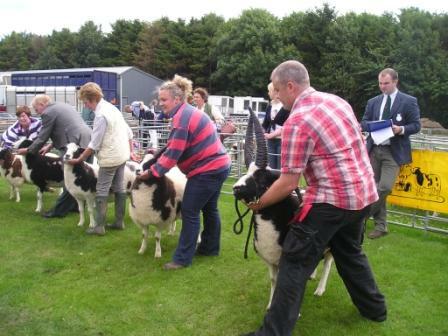 The Scottish Region took the Breed Promotion stand to this event held at Mains of Burnbank, Blairdrummond, Stirling on Wednesday 2 June. The first fine, sunny day of June ensured an excellent turn out of visitors. Those helping on the stand including Gordon and Mairi Connor, Willie Thompson and Sheena, Helen Baillie and Robert Locker were able to speak with interested visitors, members and friends and give out the promotional leaflets. A highlight of the day was when Adam Henson from BBC Country File visited the stand. 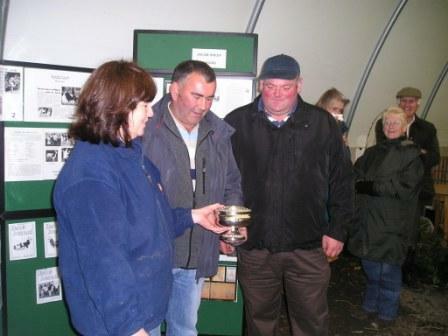 Following another very successful show, which saw Messers Connor & Dalyrmple take Champion honours with their gimmer, the committee would like to thank the 2010 judge, Mr Willie Thompson, Marion Leithead for giving the vote of thanks and Mary Connor for organising the post-judging party in the sheep lines afterwards. It was also very good to see both the Society Chairman, Gareth Jones, and the Secretary, Lousie Smith, attending the show this year. The Scottish Region visit to ‘The North’ took place on 9th & 10th October 2010. Leaving in the minibus from Bridgend and Perth were 13 members and friends, plus a convoy behind and others joining enroute. 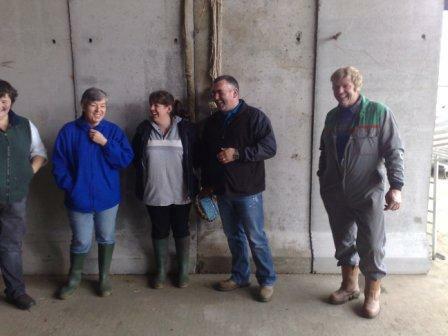 Members headed first to Scot Robertson’s Avonside flock at Easter Fodderletter near Tomintoul, Aberdeenshire where the Field Officers facilitated a judges seminar for full panel and provisional judges. With a quick stop for a wee dram at the Glenfiddich distillary enroute to Jenifer Milton’s Cairdswood flock at Newton of Auchindachy, near Keith, Aberdeenshire. 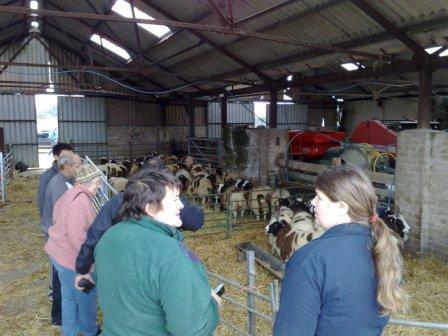 Members viewed the sheep and cattle and took part in a question and answer session sparking lively debate particularly about unregistered ewe lambs following on from the recent journal article. The Field Officer agreed to take on board the strong views of members where crossing unregistered Jacobs is a big feature of farming in Scotland. Taking leave from Keith, the tour headed to Nairn in Invernessshire where the party started for real! 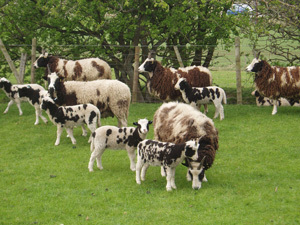 The first Sunday visit was to Janie Frazer’s Greenlands flock in Arabella, near Tain, Ross-shire. Memebers were able to view this large flock on a beautiful autumn day before heading south to view Cathy Urquhart’s Balmore flock at North Kessock, Invernessshire. 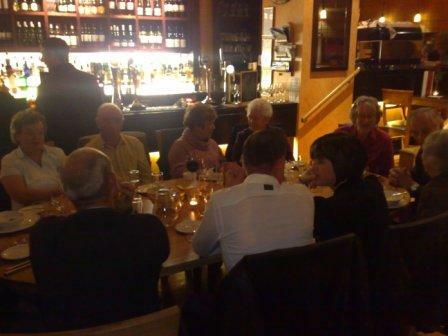 Throughout the weekend, members were treated to exceptional hospitality and refreshements. The committee would like to thank the hosts and their families for allowing us to visit and making the whole weekend such a great experience. Gordon Connor presents Scot Robertson with a present from the region for hosting the visit. 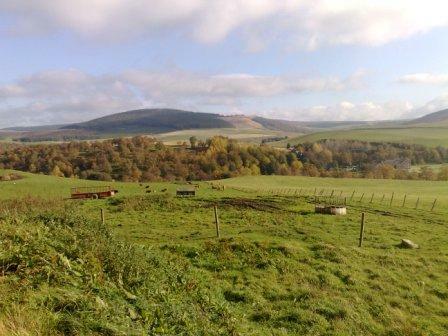 A view across Aberdeenshire, home to the Avonside Flock. The only printable picture of events in Nairn. Other photos of Isobel downing a vodka mix from Uncle Bob’s Bar Football team’s trophy are believed to be circulating on the internet! 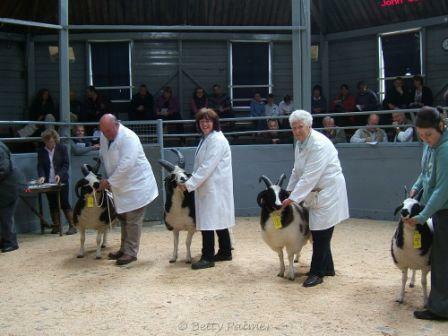 • Scotland Regional Open Day 2009, including a Judges Seminar – was held on 25th October 2009, by kind permission of Linda McKendrick, Fife, home to the Arnydie flock and winner of the 2008 small flock of the Year competition. 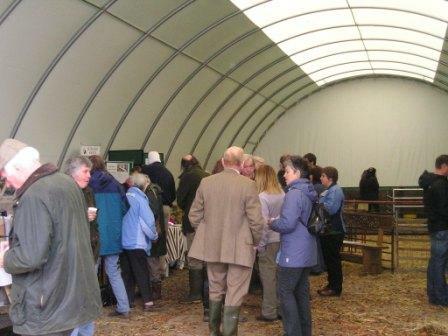 Our Open day attracted some 45 members, judges and friends from the far North of Scotland down to the North of England. It was also a pleasure to see many new members attending. The day started off with a seminar for provisional and full panel judges. The theme of the seminar was ‘consistency amongst all judges’. 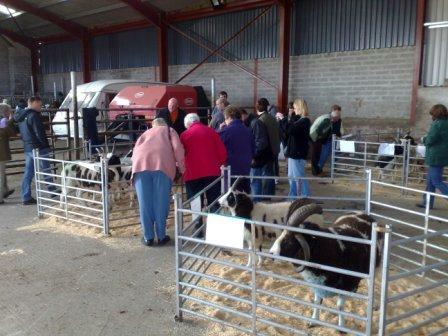 The main Open Day started at 12 o’clock and consisted of a stock judging competition, guess the year photo competition and a sheep dressing demonstration which was expertly facilitated by Scott Dalrymple. Winners of the various competitions are listed below. On behalf of the Scottish Region, I would like to thank Linda for her hospitality and also Barbara Webster and Mike Munro for bringing along sheep from their flocks to add to the good show of sheep Linda herself showed. 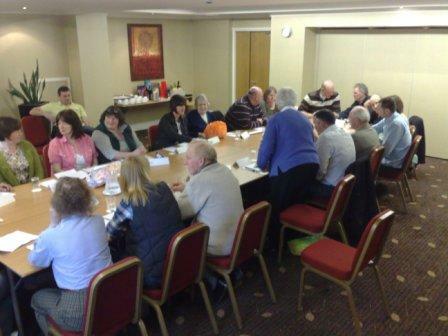 • Autumn Committee Meeting of the Scottish Regional Committee took place on Sunday 27th September at Dobbies Garden Centre, Edinburgh to discuss events and arrangments for next year. More details to follow. 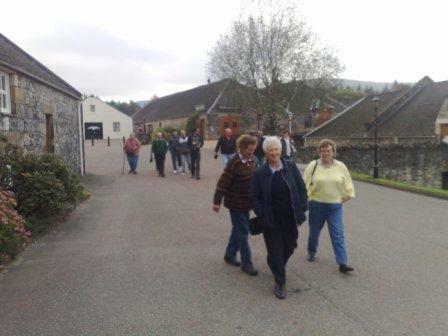 • National AGM Weekend; took place on 24th to 26th April 2009 with flock visits to Brockielaw, Harbell, Auldhill, Dunmor and Edingale flocks, plus a trip around the Mordun Foundation. 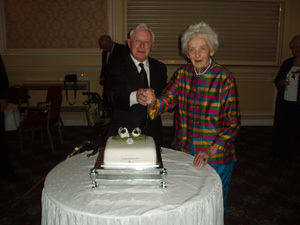 The President, Stan Taylor, and the Deputy Patron, Lady Aldington cutting the 40th anniversary cake. 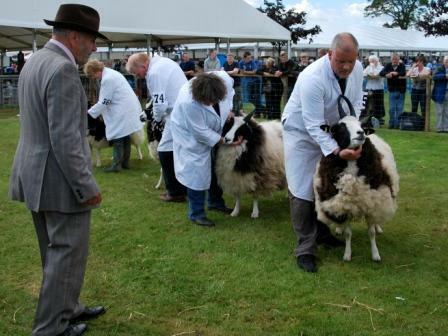 • Northern Area Show & Sale – The Premier centre to buy Jacob sheep in 2009 was held on 11th August in association with John Swan Ltd at St Boswells, near Melrose.